The 100th edition continues with another classic cover! In a cover similar to Batman #100 this one also pays homage to past Superman covers. 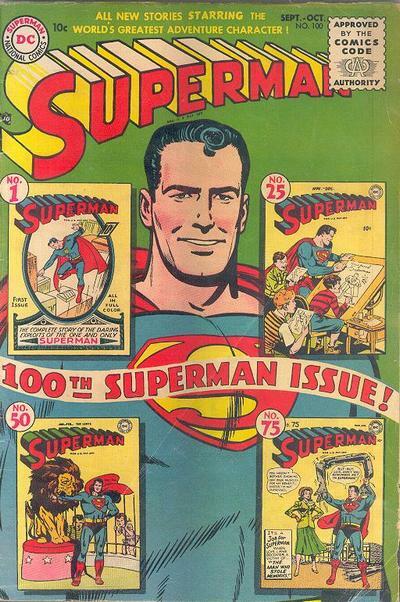 The inside would feature a story where Superman would use a toy contest based on miniature flying models of himself to help catch a crook. Yes several stories back then were often silly and very family friendly but the nostalgia and covers back then are classics!